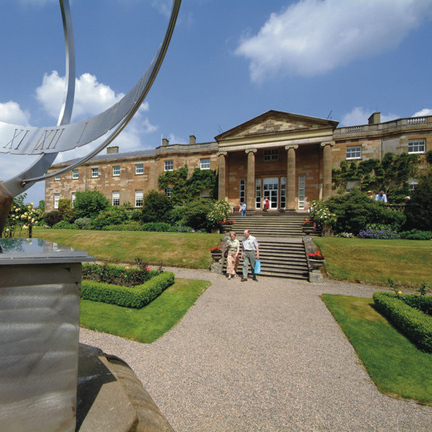 Blackwell House is the perfect base for exploring Northern Ireland. In truth you’d need at least 3 days just to get a taste for all Northern Ireland has to offer, but whatever time you have we can help you plan your itinerary based on your schedule and interests – Sightseeing, Titanic, scenic journeys, food, historic sites, politics, art, outdoors activities, nightlife or family fun, we can help tailor a trip to suit you. Take a stroll along The Newry Canal towpath, just a short walk from Blackwell House. A peaceful & flat stretch full of interesting places & stories, follow the canal as it winds through a natural trough in the countryside. For the more energetic, enjoy a 20 mile hike or cycle. 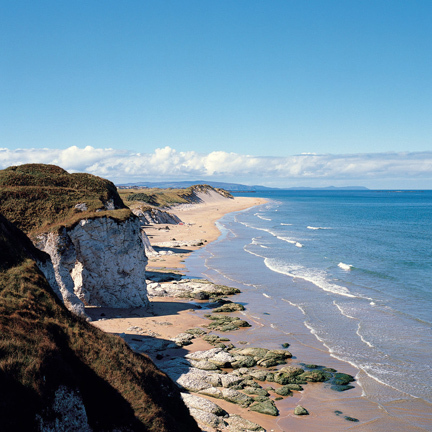 The area boasts magnificent archaeological sites such as the Dane’s Cast & Lisnagade Fort. There are parklands and woodlands in abundance only a few miles away. Scarva park is known to be a hidden Gem. Want a little refreshment while you’re out, the Scarva tearoom is a relaxed place to read about the area, take a moment by the fire at Sintons at the Bridge or step into the atmosphere of the local pub for a Guiness. Sight Seeing – the list is endless! Ballycastle where the famous Old Lammas Fair is still held to this day. The Bushmills Distillery, taste our most famous ‘wee dram’ . 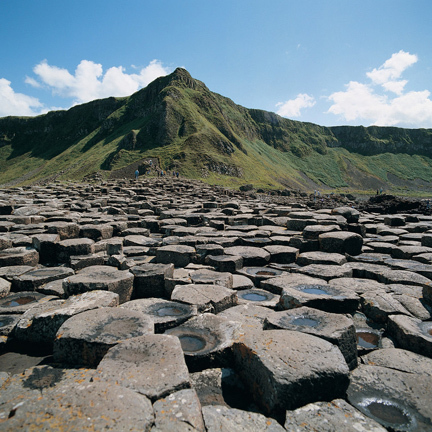 The Giants Causeway, The sight to see in Northern Ireland. Carrick-a-Rede Rope Bridge, a fun test of your bravery. 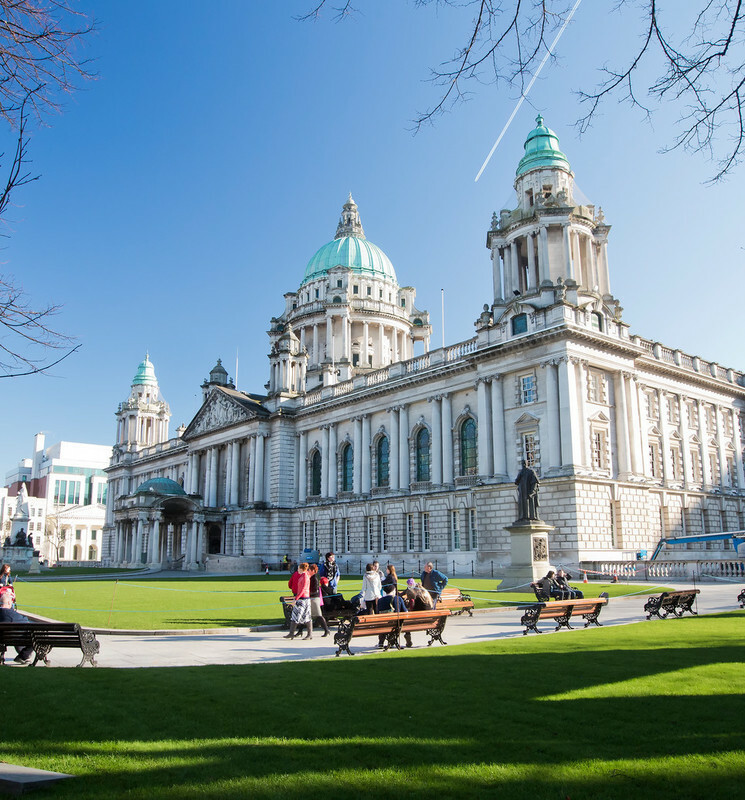 Belfast City Hall, Stormont Parliament buildings or Belfast Castle tours. NI Museums, stop at one of the many Museums. Or why not enjoy one of the many boat/bus/taxi/walking tours of the city. Cruise on the Fermanagh Lakes, 1 1/2 hours drive away. Relax, visit heritage sites like Devenish Island and the Marble Arch Caves, and take tee at the Lough Erne Golf Resort. Dublin, one of the worlds most cosmopolitan cities is only an hour away. 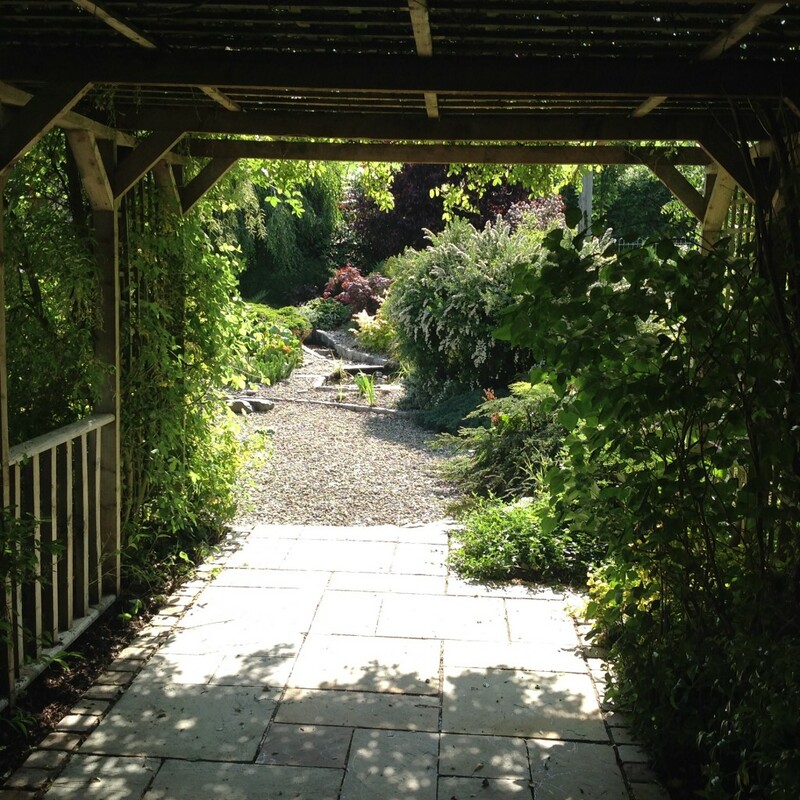 The delightful walk by the banks of River Cusher in Clare Glen is only a couple of miles away. Woods full of Hazel, Oak, Ash & Wych Elm, a stunningground layer of Wood Anemone, Wild Garlic, Bluebells, & several species of Orchid (when in season) are a treat for the senses. At Gosford Forest Park, follow marked trails through 240 hectares of woodland & parkland or relax in the walled garden beside the castle. 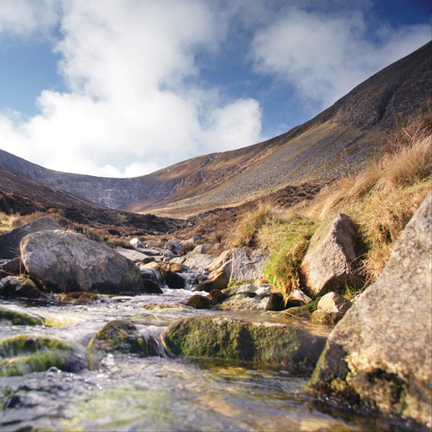 Castlewellan Park, Tollymore Forest Park and the Silent Valley are areas of natural beauty close to the Mourne Mountains, A short climb takes you to The Cloghmore Stone (Chloch Mhór) a 30 ton boulder, 300m above Rostrevor village on the slopes of Slieve Martin. Local folk tales suggest it was thrown by the giant Fionn mac Cumhaill from the Cooley Mountains on the other side of Carlingford Lough. 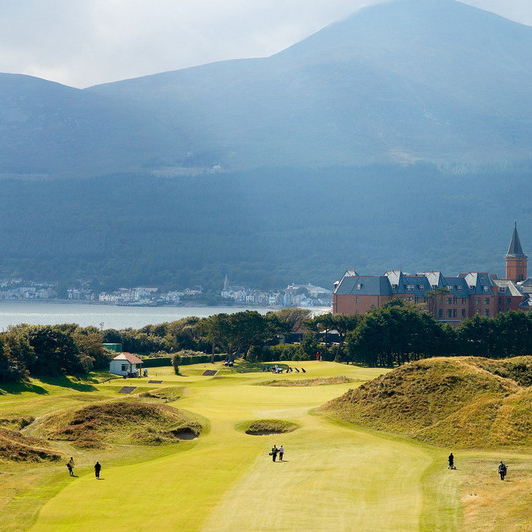 “Mourne Mountains that sweep down to the sea” Percy French’s famous song marks a true treasure. You can hike alone or we can arrange for a local fully accredited guide to take you on a trip over the peaks or on a mountain cycle on the well planned 110 KM of tracks. Corbet Lough which is only a few miles from Blackwell house has much to offer keen anglers. Facilities include a boating dock and jetty, complete with six fishing boats and one disabled wheelie boat. There is also a fishing lodge with toilet provision, three fishing stands with wheelchair access. Corbet is a spinning/fly fishing only Lough offering rainbow trout with a smaller amount of brown trout available. 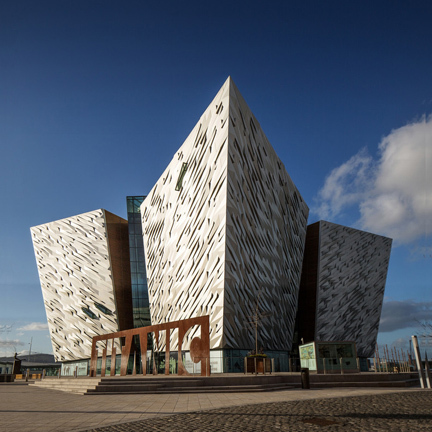 – 30 minutes to Belfast City centre where you can shop til you drop at Victoria Square, Castle court, high street names and independent boutiques. 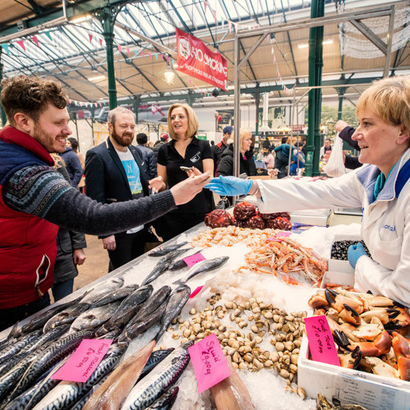 Try St. Georges Market, the oldest covered market in Ireland, full of local artisan produce, specialty foods from around the world and live music. An hour by road or rail takes you into Dublin where you can shop in the famous Grafton Street, the antique quarter in Francis street and not forgetting Auntie Nellies sweet shop in the famous Temple Bar area.